A poorly trained dog can be a hazard when you’re out for a stroll. Tens of thousands of people end up in the ER every year because of pet-related falls. Many of them happen during walks, either when a person trips over a dog or gets pulled or pushed by one. 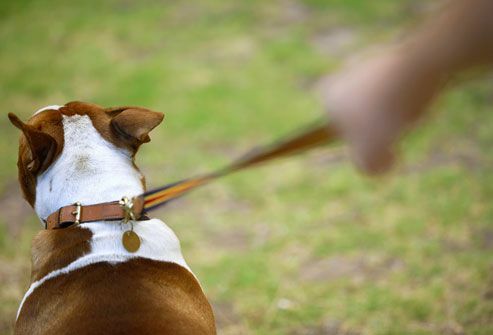 Experts say obedience training is the best way to make sure your pooch doesn’t take you down during his morning walk. After a walk in the woods, you check yourself for these pests, right? Don't forget about your dog. 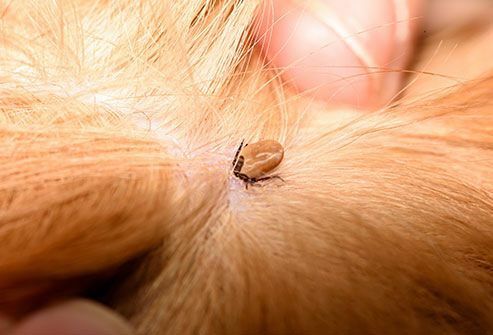 Tick bites put your furry pal at risk for Lyme disease, Rocky Mountain spotted fever, and a handful of other diseases. They can also cause serious illnesses in cats, and put the rest of the family at risk. If you find one, remove it with tweezers, and be careful to get all of the head and not to crush it. Ask your vet about tick control. If your pet has a round bald patch, this fungus could be to blame. People can get it when they touch an infected dog's or cat's skin or fur, so it's important to treat it. Ringworm usually causes a reddish, ring-shaped rash on the skin or bald spots if it infects the scalp. If your pet has hair loss, take him to your vet. 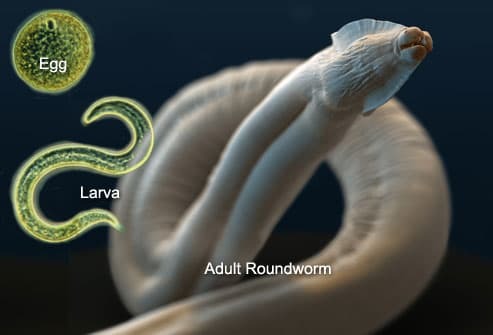 Roundworms are common parasites in dogs and cats. They cause diarrhea and vomiting, and may lead to a serious illness. But they're a threat to people, too. 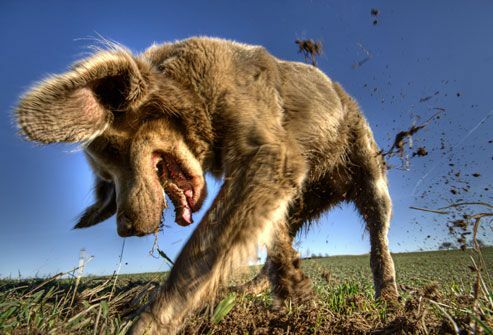 An infected pet can spread the tiny eggs in soil or sand. Kids may swallow the eggs when they put dirty fingers in their mouths. When the worms hatch inside people, they can cause blindness and other tissue damage. Ask your vet about regular deworming for your pet. Pets without these meds aren't the only ones who will pay the price. Fleas will quickly set up shop on their skin, especially in summer and fall, and fill your home with their eggs and young. Some people wind up covered in itchy sores. 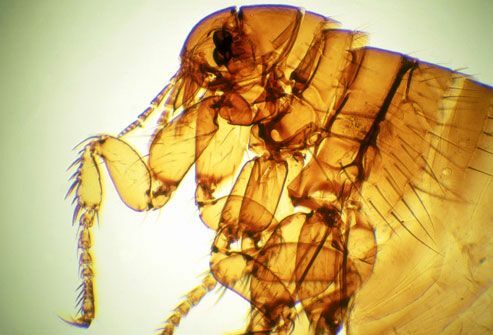 Fleas can also spread serious diseases to people, including bubonic plague. Ask your vet about long-term flea medication, and put a routine reminder on your calendar to give it to your pet. 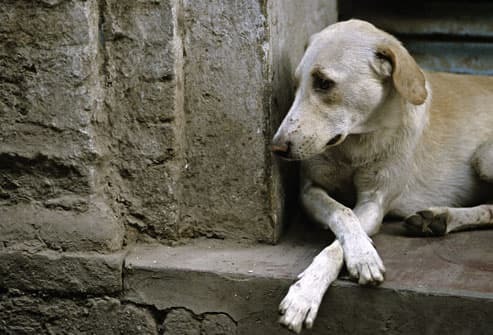 Millions of cats and dogs live on the street or end up euthanized because of unwanted litters. Still, many people are reluctant to spay or neuter their pets. The fact is, it's a healthy choice for an animal. It lowers the risk of breast cancer in females and testicular cancer in males. 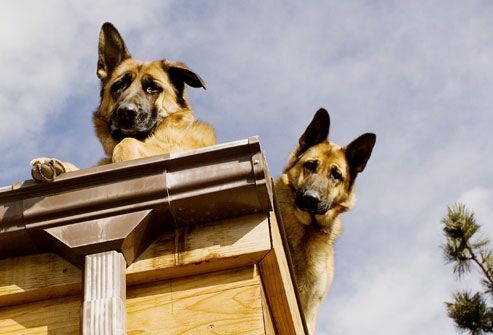 Neutered males are also less likely to run away from home, mark their territory, or act aggressive. Talk to your vet about the decision to neuter or spay your animal. It's one of the most common mistakes pet owners make. The problem is that cats and dogs often eat more than they need. If food is always available, they'll take in too many calories and put on too much weight. Instead, follow the serving suggestions on the pet food label, or ask your vet for advice. 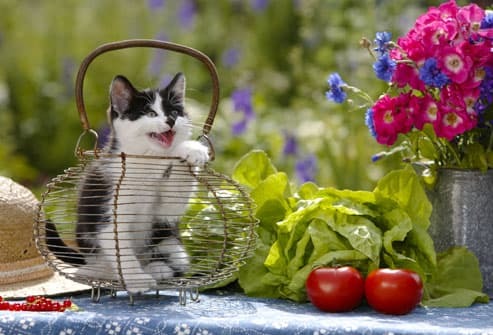 Vegetarian people sometimes want their pets to share their lifestyle. The trouble is cats are "obligate carnivores" -- they must eat meat to survive. They depend on nutrients that are found only in animal tissue. Dogs may be able to handle a well-balanced vegetarian diet, but check with your vet first. Just like people, pets need to get moving to stay healthy. Without exercise they're prone to obesity, which raises their risk of respiratory problems and joint trouble. The right amount of exercise for a dog depends on the breed and size, but vets recommend at least a half-hour each day. Bonus: Brisk walks with your buddy can help you get in shape, too. Sure, you love your dog. But do you really understand him? If you think a wagging tail is always a good sign, you could be in for a surprise. 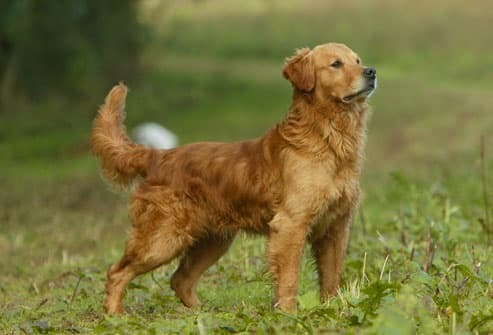 When a dog wants to threaten someone, he may hold his tail high and wave it stiffly back and forth. Mistake this warning for a sign of playfulness and you could get bitten. 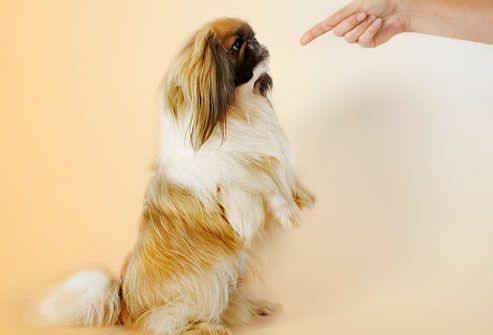 To avoid misunderstandings, learn about your pet's body language. 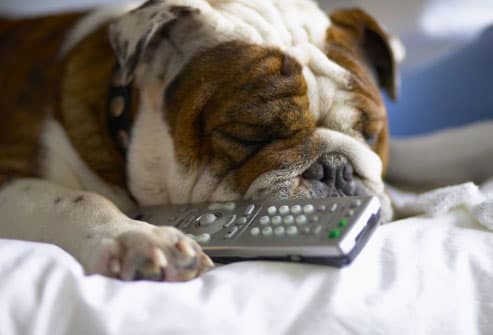 Just like children, your pets will get bored if you don't play with them. And that can lead to habits like chewing, digging, barking, and whining. 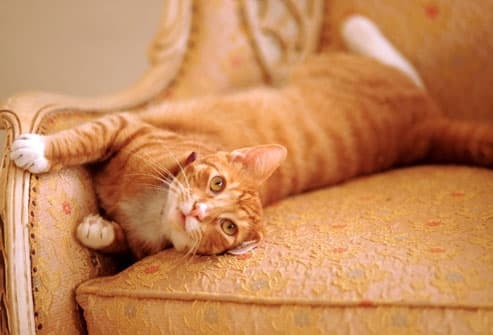 Bored cats may resort to scratching and meowing. Keep things interesting by hiding treats for your pets to find around the home. Give your cat toys to chase. 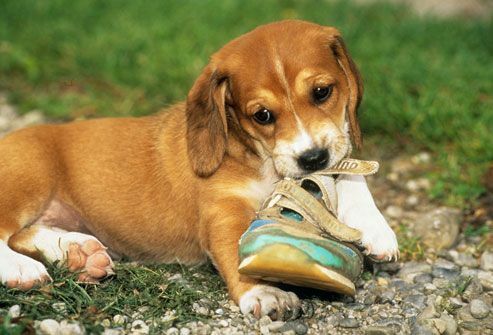 Teach dogs to play fetch, tug-of-war, or hide-and-seek. Do that and you might end up cleaning more pee or poop off the floor. 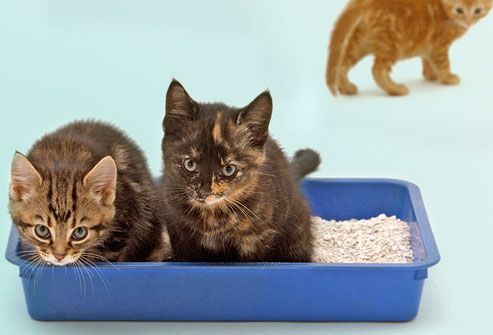 Felines can be picky about their litter box. If it's dirty or smells like other cats, they may not use it. Experts say you should have one box for every kitty in your home, plus one extra. It may be helpful to space them out around the home. During their first 7 weeks of life, puppies and kittens need to get used to people. So, their humans should build that trust with things like gentle handling and play. Reputable breeders will begin doing this, and you can keep it up when you bring your pet home. To create a strong bond, play with your new puppy or kitten every day. Eight to 10 hours alone in a crate, tiny laundry room, or even outdoors is too much for most canines. It can lead to separation anxiety and destructive habits like chewing, digging, nonstop barking or howling, and even depression in a timid pet. Better choices are doggie day care, a mid-day visit from a pet sitter, or a canine companion. 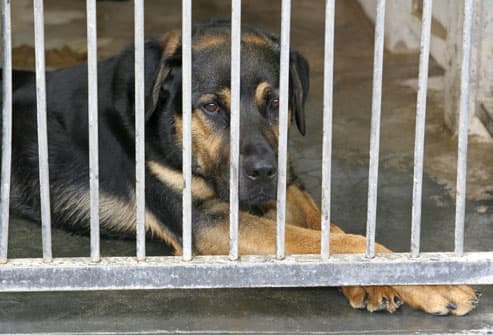 Adult dogs can go 4-5 hours in a crate, but they need exercise before and after. Some people expect their pets to know right from wrong without being told. But human etiquette doesn't come naturally to dogs and cats. You need to make it clear that jumping up on people, scratching the furniture, and peeing on the carpet are not OK. Be consistent about these rules, and reward your pets for good behavior. If you need advice, a trainer can help. If you come home to find a puddle of pee on the floor, you may have the urge to yell at your pet. But animal behavior experts say this will do no good at all. It happened in the past, and your dog or cat won't know why you're yelling. A better strategy is to praise your pets right away when they do their business where they're supposed to. Lots of children adore animals, but sometimes their enthusiasm means they could get hurt. Young kids can play too rough, so a dog or cat might strike out in self-defense. Be sure to supervise play time when a new pet joins the family. 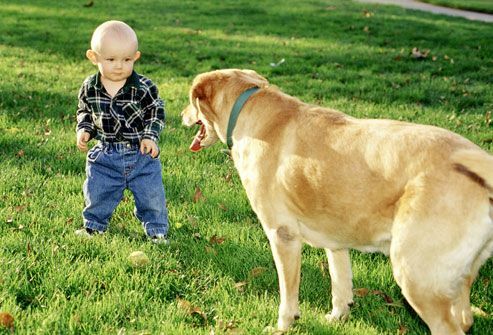 Set rules for how kids should treat the pet, and teach them to spot the signs that a dog or cat wants to be left alone. The idea that felines thrive on this drink is a myth. In fact, the opposite is often true. Most cats are lactose intolerant, meaning they can't properly digest the sugars in milk. It could give them diarrhea. 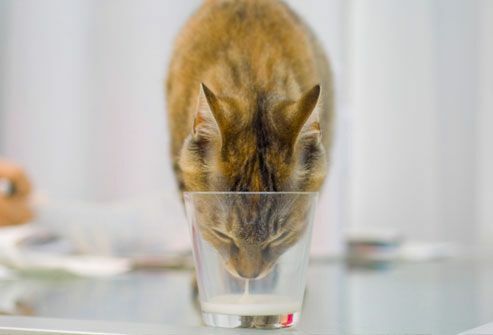 While some cats can digest milk with no problems, they don't need it. So, most vets say you should skip it. Your dog may be tempted to rifle through the garbage in search of a treat, but don't let her. 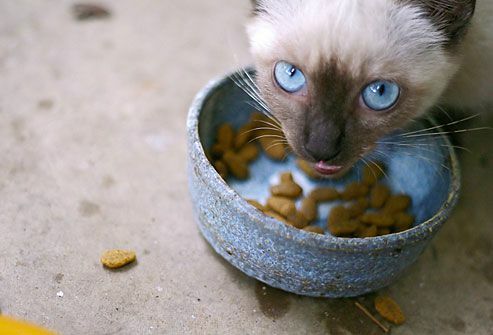 Food gone bad is no healthier for pets than it is for people. 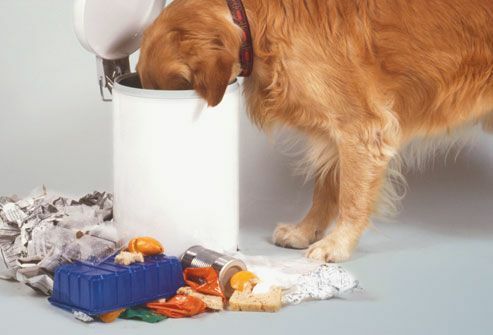 Dogs who eat trash could get food poisoning or pancreas problems. Spoiled products may also have toxic mold, which can cause vomiting, severe tremors, seizures, and death. We may think of them as tasty treats for canines, but the FDA says otherwise. 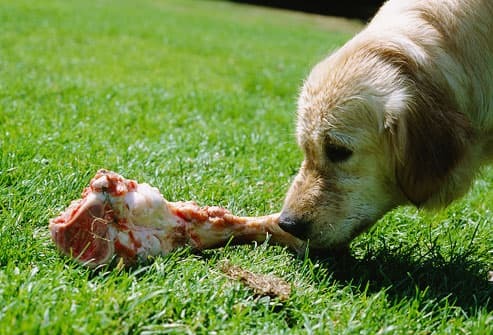 The agency warns that chewing on bones can injure the teeth, tongue, or mouth. They can also get stuck in the digestive tract and would need to be removed with surgery or an endoscope. If your dog likes to chew, ask your vet about safer choices. It's hard to resist those big, sad eyes when your pal begs at the table. But when you reward his barks or whines with a bit of your meal, you encourage him to beg more in the future. And then you can forget about quiet dinners with your family. 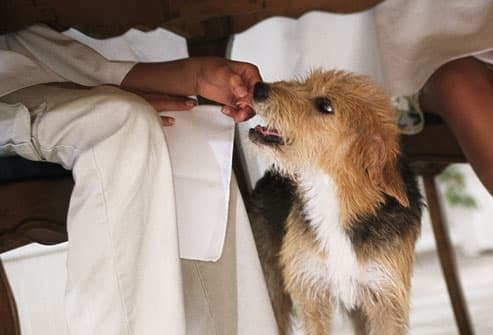 If you want to share table scraps as a treat sometimes, do it away from the table -- and use the food as a reward for good behavior. Also, learn which human foods are toxic to pets. Cats have a low thirst drive by nature, so they may not drink enough to stay hydrated. If their bodies are always low on water, they could be at risk for urinary tract problems. Get them to drink more by adding a water fountain designed for cats. Canned food is generally about 78% water, so it's a good option too, but not every feline needs it. You can also ask your vet about prescription food that encourages a pet to drink. Kitty poop can have a parasite that causes an illness called toxoplasmosis. If a pregnant woman is newly infected, it could harm her baby. 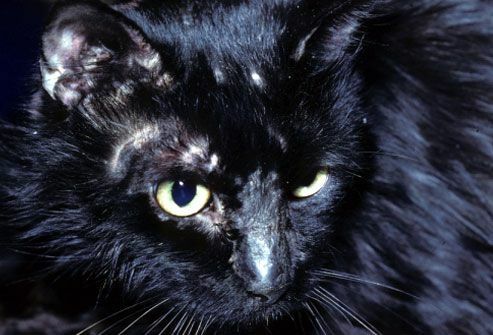 But most people who have cats already have antibodies to protect against the disease. 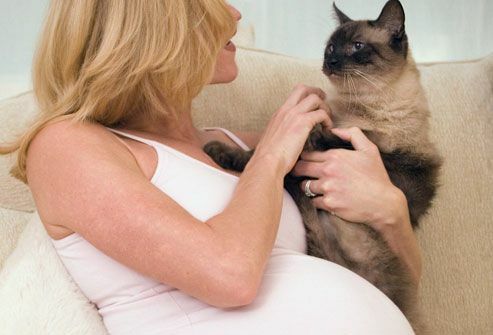 The CDC says pregnant women should keep their cats but avoid handling cat litter if possible. If fires, flooding, or a hurricane forces you to evacuate your home, what will you do with your pets? Leaving them behind is not an option. And not all Red Cross shelters allow animals. It's best to find pet-friendly shelters and motels ahead of time, so you can keep your pets with you during an emergency. If a friend is giving away puppies or a local animal shelter is totally full, you may be tempted to bring home a new pet. But this should never be a spur-of-the-moment decision. You're making a long-term commitment to care for the animal -- 10 to 15 years for dogs and up to 20 years for cats. It’s also best to do some research ahead of time to decide what type of pet -- and what specific breed -- would be best for your family. ASCPA: "Litter Box Problems," "Animal Poison Control Chat Transcript," "Safety Tips," "Wet and Dry Cat Food," "Begging at the Table," "Canine Body Language," "Disaster Preparedness," "Enriching Your Dog’s Life," "Exercise for Dogs," "Exercise for Dogs," "Questions to Ask Yourself Before Adopting," "Top 10 Reasons to Spay or Neuter Your Pet." CDC: "MMWR: Nonfatal Fall-Related Injuries Associated with Dogs and Cats --- United States, 2001--2006," "Lyme Disease and Animals," "Ringworm and Animals," "Rocky Mountain Spotted Fever and Animals," "Guidelines for Veterinarians: Prevention of Zoonotic Transmission of Ascarids and Hookworms of Dogs and Cats," "Toxoplasmosis Fact Sheet." Champaign County Humane Society: "Home Alone? Basic Time Management for Your Dog." FDA: "No Bones About It: Bones Are Unsafe for Your Dog." Peteducation.com: "Basic Dog and Puppy Training Rules," "Early Socialization of Your Puppy," "Flea Allergy Dermatitis or Flea Bite Hypersensitivity," "Interactions Between Children and Dogs." Feline Nutrition Foundation: “Answers; What Exactly is an ‘Obligate Carnivore?' "
Urban Vegan: "Vegan Cat Food: The Cold Hard Truth." The Humane Society of the United States: "Crate Training." 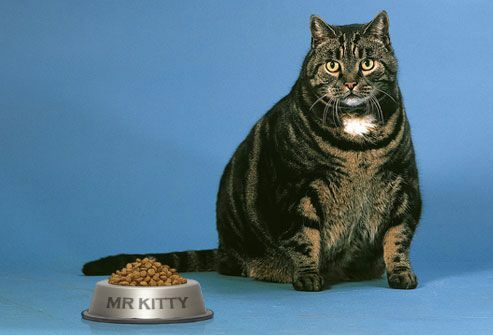 University of Illinois at Urbana-Champaign: "Obese Owners Can Mean Obese Pets."